Is he, too, taking his talents elsewhere? Jennings is claiming it has nothing to do with the City of Milwaukee itself – of course it’s not; what doesn’t Milwaukee have to offer a kid Straight Outta Compton?! It’s purely business. 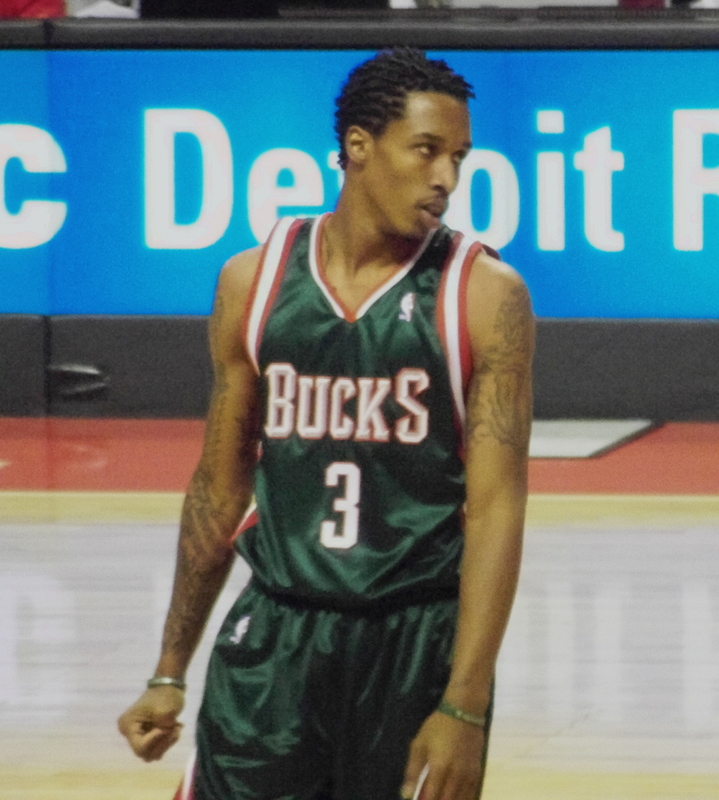 Taking Jennings at his word, the decision to spurn the Bucks comes down to the direction of the squad. With Bogut spending more time on the training table than Ice Cube selling out to Coors Light (sense a theme here?) and Stephen Jackson never seeing a terrible shot he didn’t like, Jennings may have a point about the Bucks’ direction. Since drafting Jennings in 2009, the Bucks have drafted Larry Sanders, Tobias Harris, and Jon Leuer. It’s usually best not to emulate the KAAAAAAAAAAHN when drafting. Again stealing a book from the KAAAAAAAAAHN, the Bucks filled in the rest of the roster with a bunch of players that have bounced around the league – Shaun Livingston, S. Jackson, Drew Gooden, and Mike Dunleavy. Frankly, I can’t blame Jennings for wanting to do his homework. It’s important to keep in mind that if Jennings does sign elsewhere, he will take less money to do so. The new CBA was designed to give small- to mid-market teams an advantage in signing their own players to maintain parity. But there is not much a franchise like Milwaukee can do when a player is willing to accept less money to play elsewhere. Just ask Cleveland – but I’m pretty sure anyone would take less money to live on South Beach instead of next to this. This entry was posted in Bucks v. Pups and tagged 2014 NBA Free Agents, Bogut, Brandon Jennings, Brandon Jennings Contract, Brandon Jennings free agent, Bucks, CBA, Collective Bargaining Agreement, David Kahn, Ice Cube, Jennings, Jennings Contract, Jon Leuer, Larry Sanders, Milwaukee Bucks, NBA, NBA Free Agency, New York Knicks, Oak Hill Academy, Shaun Livingston, Stephen Jackson, Tobias Harris. Bookmark the permalink. His free agent problem will be less painful than his next problem which I’m sure is right around the corner – Trade him!! !